The cheapest price for Red Dead 2 on PS4 or Xbox One this Black Friday. Rockstar's Red Dead Redemption 2 is one of the biggest games of 2018 and also one of the very best. If you've been waiting for Black Friday to buy Red Dead 2, this is the guide for you. 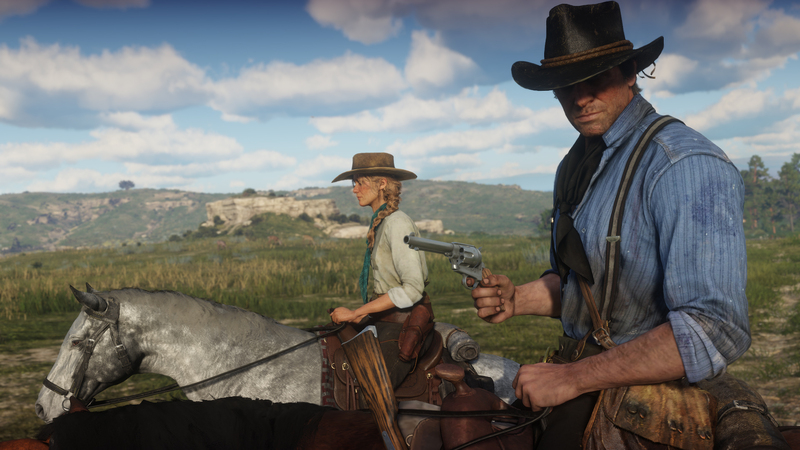 We've rounded up the best price you can buy Red Dead Redemption 2 on PS4 or Xbox One this Black Friday, including deals in the US and the UK. Make sure you get the best price for Red Dead 2 this Black Friday. Here we've got the best UK price for Red Dead Redemption 2. This includes Red Dead 2 PS4, and RDR2 on Xbox One. These are on The Game Collection and Base. Red Dead Redemption 2 is one of the biggest selling games of all time and a must-have if you own a PS4 or Xbox One. Just below you can see the best prices for Red Dead Redemption 2 in the US. These prices are on NewEgg and are for the PS4 and Xbox One versions of the game. All versions will also include Red Dead Online when that launches in the future. We've got a full Black Friday Deals hub page where you can find all the best deals. Of particular note are the best PS4 Pro Black Friday Deals, best Xbox One deals and any Nintendo Switch Black Friday Deals that are running this week. You might also want to get the best price on PlayStation Plus or Xbox Live Gold, too as Black Friday tends to throw up some good deals on console subs. Elsewhere we have the best Black Friday 4K TV deals, and the best Mobile Phone deals. Tagged with Black Friday,	Deals,	Guides.